Choosing the optimal time for homeschooling can be a challenge. While learning occurs in every second of every day, I made it my mission to choose the best time for my daughter to learn. I quickly established that she learns best first thing in the morning. Immediately after breakfast we start our homeschooling lessons. She’s alert and works more efficiently at this time of day. Take away point: Observe your child. When are they happiest, most alert, and most engaged? Structure your most intense learning opportunities during these times. Last year I tried to have a “go with the flow” type of schedule. Did that approach ever flop! We need a schedule. This year I put my brain and pen to work and came up with a detailed schedule. It made a huge difference! I schedule our active times, juice/smoothie breaks, educational video watching time, snack time, and lunch time; every activity has a time slot for it. Take away point: Assess all you have to accomplish in your homeschooling day and schedule activities into 15-minute time blocks. Carefully plot out your snacks, movement activities, “fun” subjects, and intense subjects. I like to have a fun 15-minute activity or a break to follow an “intense” 30-45 minute lesson time. While you’re building your schedule, it’s important to be organized. I was organized last year but this year I stepped it up even more. My lessons are always prepared a week in advance. I track everything using my homeschool planner (make sure to grab your copy too)! I spend some time on the weekends prepping activities and gathering materials for the following week. I use Lessontrek to schedule my lessons. At the end of the week, I make sure that any additional activities are documented and then I print out the schedule to store with our homeschooling records. I love Lessontrek for its flexibility. If we don’t get around to an activity, I use the drag and drop feature to easily add the activity onto a different day! Pretty to look at and easy to use! I love Lessontrek! I get up early so I can gather everything we need for the day (this limits any waiting time my daughter would have). Subjects are organized in their own binders. Books are readily available in baskets below our kitchen benches. Pencils and pencil crayons are sharpened every evening for the next day. Take away point: How organized are you? In which ways can you improve your homeschool organization. Remember that being organized cuts down on wasted time. Try to think of everything you could do to increase your efficiency. There are so many distractions in the day. From a sibling who’s playing loudly in another room, to a baby that needs attention, to emails, phone calls, and text notifications. This year I committed to ditching the distractions. I don’t answer the phone, I don’t have my cell phone with me while we homeschool, and I don’t respond to emails until our homeschooling lessons are done. I also schedule activities to keep my youngest daughter engaged while we’re doing our lessons (i.e. set up an exploration table, give her markers and a piece of paper to draw on, etc.). 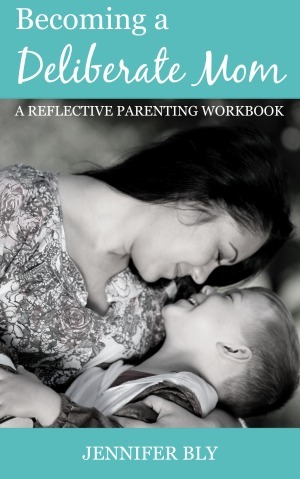 Last year, I selected the curriculum that was recommended to me by our homeschool association. Unfortunately, half of the curriculum was dry and boring (and required a lot of worksheet work… something I don’t care for). This year I spent a lot of time looking at homeschool curriculum reviews and I chose the curriculum that intrigued me. I’m actually excited to do our homeschooling… and this is a feeling I didn’t encounter as much last year. Specifically, I am loving The Story of the World and 5 in a Row. I highly recommend these resources to anyone who is homeschooling. 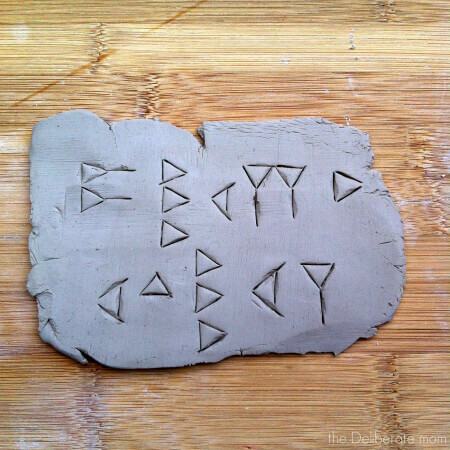 Learning about cuneiforms from The Story of the World. Take away point: Be intentional with the curriculum you choose. It’s so important that you AND your child are enjoying the curriculum. If possible, talk to others and see what they like about certain types of curriculum. What are the pros and cons of each? Plus, if a curriculum isn’t working for you, feel free to ditch it and find something else. Don’t feel like you have to commit to it for the entire year. I put God in His proper role as principal of our school. A lesson doesn’t get planned and a day doesn’t commence without inviting Him to oversee it first. I put my oldest daughter in the role of teacher’s aide. I invite her to prep activities and to check her own work before submitting it. I put my youngest daughter in the role of custodian. It sounds rough I know, but she loves it! She helps clean up our messes after we’ve painted, she sweeps the floors, etc. I plan our lunches so that my lunch room cook duties are less stressful. Take away point: There are a lot of things to be done and roles to be filled in your homeschool. Carefully determine who can do which tasks and distribute the workload accordingly. Homeschooling is tough, but it can be so rewarding! You need to enjoy this process and have fun with your children. Just because you teach them, doesn’t mean you have to stop playing with them. Play a game of tag, build something with blocks, get dressed up in costumes and act out a role. Think of ways to teach them while playing. Maybe they can “read” the doctor’s chart or they can write out a prescription for you. Take away point: We need moments to have fun and play. Don’t compromise your relationship with your children by taking on a teacher role 24/7 – make time to enjoy them and play with them… inside and outside of your homeschooling “classroom”. So that’s my 7 keys to homeschooling success. Would you add anything more to this list? I’m loving this year so far and I look forward to sharing more about our homeschooling journey with you. Great tips and will say I never actually home schooled, but I was a teacher in the public school setting and as such having a solid plan for when you are teaching is definitely a huge plus. So, does sound like you are totally on the right page here. Thanks so much Janine! I can’t believe how wonderful this year has been so far. We’re having a great time! Absolutely fantastic tips, Jennifer! I think every homeschooler or anyone thinking about homeschooling should read these! So glad you enjoyed this Echo. Last year was tough… super tough. I’m hoping these tips will help others on their homeschooling journey too. These are great lessons that people who just begin homeschooling don’t realize until later. I think beginning homeschoolers need to relax a bit more and not be so stressed out! Homeschooling works, and homeschoolers eventually find their groove. Last year was so tough on us Susan. It was a long and challenging learning curve but I feel blessed to have figured these things out as soon as I have. Not only is this great advice, Jennifer, but for a lot of people it takes years to learn all of this! I love your take-away points. One of the best things that we can do is to decide how we want things to look before we begin. I used both Story of the World and Five in a Row. We enjoyed them thoroughly and I highly recommend them. Oh Heather… last year was so tough on us. I constantly felt like I was failing. 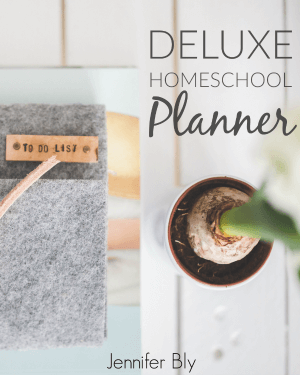 I’m very reflective by nature (hence my blog name, The Deliberate Mom)… so I spent April to August planning, scheduling, and thinking of all the ways to make this year better. The time and focus I gave to it really has paid off. I am loving 5 in a Row and Story of the World! They are such amazing curriculum choices… I get excited every time we do them! I really enjoy reading these posts because as you know I myself plan on homeschooling Madison when she gets older. I’ll have a lot of time since I plan on leaving the workforce very soon. All your tips are going to be very useful and I’ve never heard of LessonTrek before. Will have to check it out. Well it took us a year to get our act together… but I’m super pleased with the approaches I’ve been using this year. I hope it helps when it’s time for your to homeschool Madison. I’m pleased you enjoyed this Misty! 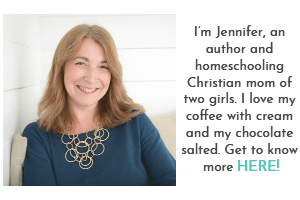 I’m going to let the cat out of the bag and let you know that you’re one of the blogging homeschoolers that I look up to… so for you to like this post really means a lot to me! It’s always a work in progress isn’t it? I’m certain our homeschool will go through an overhaul when my littlest starts Kindergarten… there are many ebbs and flows in the homeschooling journey, isn’t there? That little Caleb will certainly be one blessed little boy. Glad you’re saving this Susannah! I have a confession: I am a total homeschooling failure! We tried it last year, through k12 online and I discovered I’m just not organized/disciplined enough to pull it off. Maybe if my son had been more of a self-starter it could have worked, but he REALLY struggles with reading and I tried everything I could to make it less stressful for him, but in the end it was just ridiculously hard for both of us. I was burned out and unhappy. Every child and every family is different. We need to do what’s best for us and our children. Bravo for figuring that out Brittany! You’re right, there’s a lot of mama guilt in motherhood isn’t there? We do need to be gentle with ourselves though. Thanks for visiting my friend! For us, I actually found that scheduling LESS helped! It definitely depends on the child(ren) and it takes a while to figure out what works! Great tips! Every family is different, just like every child is different. I’m glad you found something that worked well for you. Thanks for stopping by Branson! Hi Jennifer, thanks so much for your tips. In September we started homeschool preschool and it’s nice to hear what has worked for you and how you manage it all. I’m glad you enjoyed these tips Katie! I hope they help you too. First – congrats on being featured on SITS today! And what a GREAT post! I wish I had the patience to homeschool, you make it seem so easy and attainable. I feel like this advice could be applied to blogging, or even all aspects of life. Another great one! Last year of homeschooling was so tough Kristen. It took a year of struggles for me to figure it out. Hopefully by sharing some of my tips, I can help others out too. Thanks once again for a lovely comment and your kind words. Jennifer – and that’s the key the very last part of your post about how rewarding it is! We are doing homeschool preschool this year and I get giddy when I see the progress! It is so rewarding… it took some effort for us to get here but I’m loving it. I’m living vicariously through you when it comes to homeschooling and I think these tips are awesome! Definitely something every homeschooler should know which is why I will be sharing this! Well, it took a rough year for us to figure things out but it’s been a great year so far. Thanks so much for reading, for your thoughtful comment, and for sharing. Sounds like you guys are well on your way to enjoying your homeschool career! Curriculum does make a difference, and sometimes you end up using different curricula with different kids in the same family due to learning style–I was homeschooled till college and I loved Sonlight the best. It took last year as a trial and error kind of deal for us to get things straight but yes, we are on our way to a great homeschool career. I will investigate Sonlight. Thanks for the tip! Awww, thanks Jen. I’m doing my best, that’s for sure. The hard work is definitely paying off though. It definitely has been a great year. You are so committed and way more organized than I will ever be Jennifer. I don’t think I’m a patient enough person to home school my daughter. I love all the wonderful activities you plan for your daughter. You rock lady! Homeschooling doesn’t need patience (trust me, I am not a patient person)… just commitment. Thanks for your kind words my friend! I’ve just started the journey towards parenthood (adoption process is rolling along!) but I’ve already started thinking about homeschooling. Don’t need to make any decisions yet but I love resources like this…thank you! Congratulations on getting the ball rolling on the adoption process! Yay! I love homeschooling. It’s challenging at times but it’s a wonderful experience and really brings me and my children closer together. I hope these resources help you later on down the road. Honestly Jen, I don’t know how you do it! If I were thinking of homeschooling my children – something that I am just not that organised to be able to do! – then these tips would be invaluable. I love the fact that you have given your youngest daughter the role of custodian and she enjoys it…So cute! Great post that I am sure someone will find very useful. I love homeschooling Debbie. Every day we learn something… I learn something. Whether it be a science fact I never knew or I learn something about myself (like that I can have patience even when my child makes the same error over and over again). It’s so rewarding. Thanks for the kind words, I’m glad you enjoyed this. I love seeing all the comments on this post because you really have come up with a great list here. The “no distractions” is something that can be applied to so many other things too! But what I really really love is that lesson planner! That Lessontrek screen shot inspires me to be more organized! I love it. And good job for getting the homeschool formula to success down! I’m so glad you enjoyed this Cindy… and that you find it helpful! Great advice! I am a huge advocate for public and home education. It takes a lot of hard work to do both effectively. 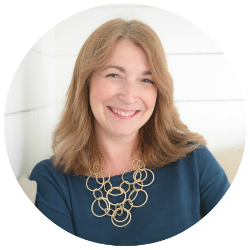 Planning, structure, organizing, and increasing your own background & content knowledge? That’s work! Having a plan and schedule is great. I don’t care if you are dealing with 2 kids or 22; things may not go as planned (that’s cool), but if you are organized, you can be flexible and deal with the surprises and challenges. I also liked that you talked about being observant of your child’s attention to maximize learning and comprehension. It’s one of the benefits you have as a home educator. I really do appreciate hard-working educators- I don’t care if they are at home or in the classroom. 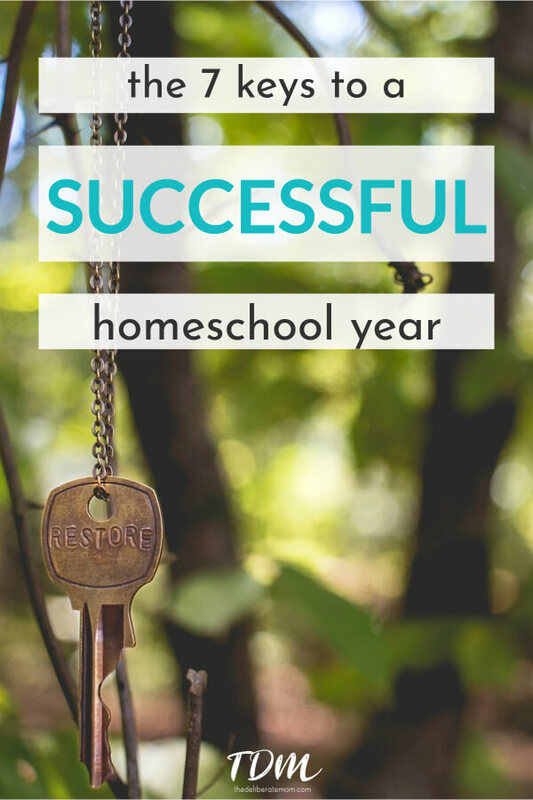 I’m so glad you enjoyed this post and my homeschooling keys to success. Homeschooling is definitely a journey and one I am very thankful to be on. I am a BIG planner but as you mentioned, I am flexible too. It’s so important to have focus and clarity when teaching our children. Thank you so much for your kind and thoughtful comment. It made my day.